Rep. Maxine Waters (D-CA) told MSNBC contributor and guest host Jonathan Capehart on Sunday that she wants to celebrate her 80th birthday with the removal of President Donald Trump from the White House. CAPEHART: So, pre-Happy Birthday! But on Wednesday, if you could be granted one birthday wish, what would that be? CAPEHART: But on Wednesday, if you could be granted one birthday wish, what would that be? WATERS: I guess now my biggest birthday wish would be that we’re able to get a leader of this country who represents us. Who has the respect of all of our allies, all over the world. Someone who has an appreciation for the Constitution. Someone that does not lie every morning when they get up with these tweets. Someone who not only respects women, but all of the people, and instead of dividing us, would take leadership to bring us all together. This is the greatest country in the world, but he’s undermining our democracy. He is making us ashamed of him and he is being destructive to — uh — this democracy. This is a man who’s criticizing NFL players because — uh — they’re not doing what he thinks they should do in saluting the flag in the way that he wants them to. He doesn’t even know the words to the Star Spangled Banner! And, so, he is not truthful. Uh — He is a hypocrite and I would wish that we could remove him from office and go about getting the kind of president that we can all be proud of! And if he’s not impeached, if he cannot be impeached, 2020 is coming up and I believe that American people are going to do the right thing for our country— Stand up for what is right and get rid of this man who is embarrassing us all. 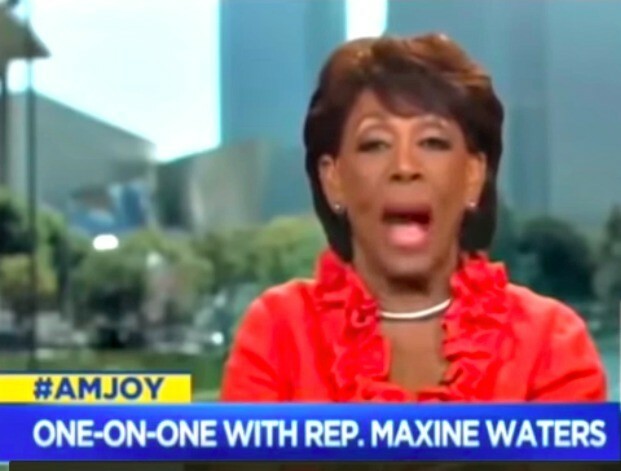 CAPEHART: And with that, Congresswoman Maxine Waters, thank you very much. Again, Happy Birthday in advance. WATERS: Thank you, so very much.